Tarr, LLC may be a small company, but every year it becomes a larger part of its customers’ operations. The company was founded in 1955 and today is a growing independent, full-service distributor of commodity and specialty chemicals. The products it distributes fall into three major categories: commodity chemicals, high-purity chemicals and oil. It serves a wide range of industries, including automotive, pharmaceutical, energy, construction, food and beverage, agricultural and electronics. Previous StoryTarr has a New West Coast Facility! 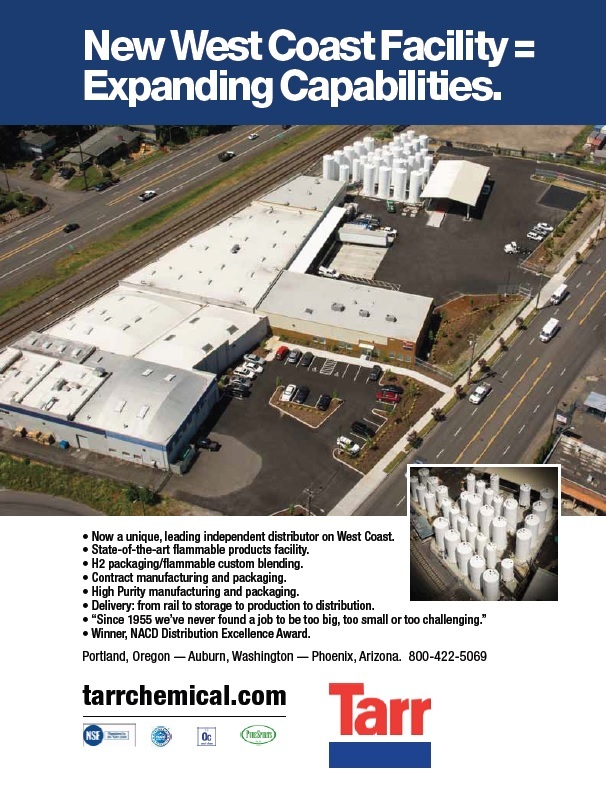 Tarr has a New West Coast Facility!